This hand lettered St. Patrick’s Day print is perfect for your holiday celebrations! 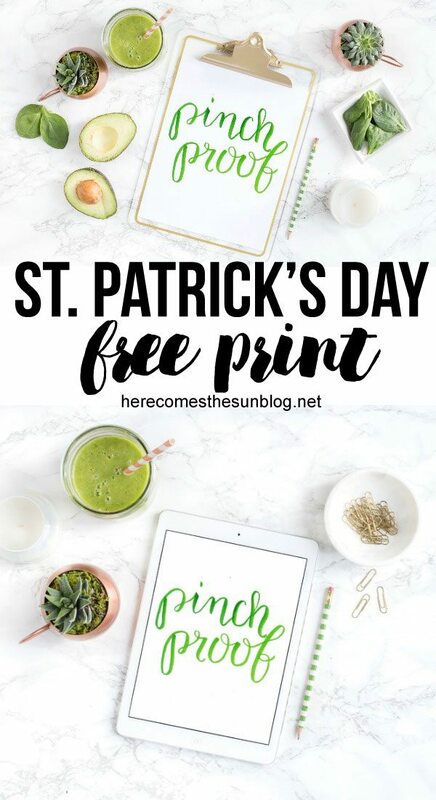 I’m continuing to work on my hand lettering and today I want to give you a free St. Patrick’s Day print. With this print, I tried out a new technique that I’ve been working on called blending. My favorite pens to use for lettering are my Tombow dual brush pens. I use those along with a blending palette to create a blended look. First, I decide what color I want to use and pick 2 shades of the color. Them, I place the darker of the two shades onto the blending palette. Using the lighter colored brush pen, I pick up some of the darker color. When I begin to write, the dark and light blend into each other, giving the lettering a unique look. 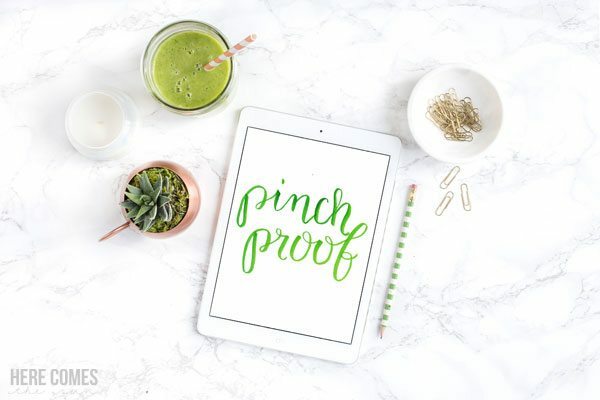 Click here to see more of my favorite hand lettering supplies. 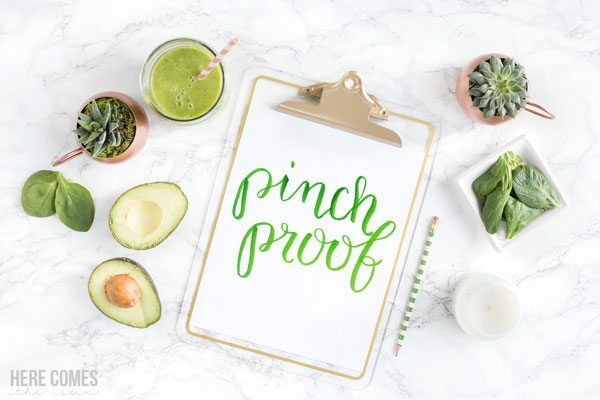 If you would like to create your own hand lettered print, make sure to check out my hand lettering tips and download a free practice worksheet. This print is an 8×10 and for personal use only. So make sure you wear your green on St. Patrick’s Day to avoid being pinched!